Republic Day speech for school or college principal to be delivered on January 26. Dear children, you know that today we have gathered here to celebrate our 70th Republic Day. 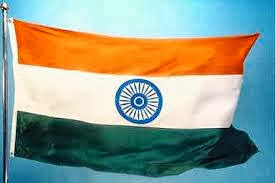 And I would like to wish you all a Happy Republic Day! I feel honoured to speak a few lines about our country on this auspicious day. If time permits, I wish I could speak volumes about the greatness of our nation. Republic Day is one of the National Festivals besides Independence Day and Gandhi Jayanti. Let's recapitulate about the importance and significance of Republic Day. After India became free from the British Rule in 1947, the Constituent Assembly had framed the Constitution of India. And it was on this day in 1950 when we adopted our own Constitution and India became a Republic. I think some of you might be wondering what is Republic. A country that is governed by a President and the representatives chosen by the people is called a republic. Children, we should show our gratitude to those great leaders of our country who sacrificed their lives in achieving freedom for our country as we are enjoying the fruits of their sacrifice. We should consider ourselves to be fortunate for being born in free India. After independence we made tremendous progress in various fields and we are one of the proud global leaders in the IT (Information Technology) field. Dear students, you are intellectually potential and each one of you are talented in your own / unique way. Remember that we have achieved freedom for our country with great sacrifices and now it is our responsibility to safeguard the freedom of our country. So, let's 'Be Indian and buy Indian' And if we have to buy Indian, we need to imbibe / follow 'Make in India'. Let's not give away to the foreign goods to monopolize our Indian market but let us encourage swadeshi goods. There is no dearth for human resources in our country. We, Indians are intellectually potentially and are highly skilled. Let's strive to identify the potential / skilled ones and extend a helping hand to them for uplifting them. In the recent year our country has achieved great heights in space technology. Let's give a big applause to ISRO (Indian Space Research Organisation) team which is a great inspiration to the young minds. In spite of progress and development, there are still certain social evils prevalent in the country which is a great hindrance for the progress of the nation. We also face certain natural calamities due to ecological imbalance and environmental disturbances. These natural calamities cause damage to life and property and we need to gain more knowledge in disaster management. Dear students, I would like to remind you that you are the future citizens of India and you need to re-dedicate yourselves for the welfare of our nation. You need to have the vision of a developed India. Raise your voice against the social evils and environmental disturbances. Get inspired from our great leaders and fight for a cause. Let your dreams of a developed India come true in near future. However, a speech on such occasions should be always brief as the students / audience get bored listening to speeches continuously and many of them don't even bother to listen to then speech when it becomes lengthy.